Your quadcopter/miniquad/any RC model’s FPV system consists of three parts: a camera, a FPV transmitter, and an antenna. 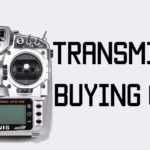 I’ve already written about cameras and antennas earlier, and in this post, I’ll give you a quick rundown on fpv video transmitters. Once these things are out of the way I’ll list my four favorite transmitters. 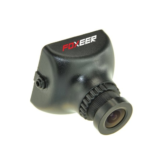 FPV transmitters send the video signal through radio waves on certain bands and frequencies. For miniquads and most planes, the frequency commonly used is 5.8 gHz. This means that the 5.8 gHz band carries all the signals on different frequencies within it, such as 5800, 5820, 5840, and so on. The frequencies actually dip to 5600 and go as high as 5900. 5.8 gHz is preferred because it is unregulated for the most part and can carry the most information, so the image quality is fairly high – but still analog and nothing close to digital. The reason we still use analog for FPV is that analog has a much lower latency than digital. Low latency HD systems are slowly cropping up but they are quite expensive. The next thing you want to consider is the transmitting power. This will usually range from 25 mW all the way up to 800 mW, and most decent transmitters are actually switchable, so you can change the power as needed. If you don’t end up getting a switchable transmitter, 200 mW is a sweet spot that gives you decent range and will let you fly with other people in the air. Once you cross 200 mW to 400 mW and above, your signal will start bleeding into other people’s feeds – so you won’t be able to fly with anyone else without possibly knocking them out of the sky. For some long range flying, you can ramp up the power to 800 mW. That’s why in this post I will only list switchable power transmitters where you can choose a wide range of transmitting power to suit the situation you are flying in. It’s also worthwhile to note that transmit power is not linear – so 200 mW will not give you 8 times the range of 25 mW, nor will 600 mW give you 3 times the range of 200 mW. This site is a great baseline calculator for how much range you can get out of an FPV system. If you’re only going to race indoors, then 25 mW will be enough. You won’t get much outdoor range with it, but for micros, tiny whoops, and general warehouse racing(NOT PARKING LOTS), 25 mW is a sweet spot. 200 mW is the “goldilocks zone” of video transmitters. It’s a decent all round transmit power that will work for racing, park flying, and pretty much everything. However, the moment you start to go behind thick trees/cover, you may notice the signal degrading and your video cutting out. 200 mW is perfect for flying with other people, too. To penetrate behind trees and thin walls, objects, or obstacles, you want 600 mW or greater. You’ll need to be flying alone(or taking turns being in the air) at this frequency. Your VTx will also get very hot, so make sure you have some good ventilation and airflow. More than the transmit power, a better way to increase range is to use a good transmitting antenna and a good receiving antenna. For example, a circular polarized antenna on the quad and a patch antenna coupled with a circular polarized antenna on a diversity receiver will get you a good amount of range. Some transmitters also have something called L-band, which goes all the way down to 5300 mHz. L Band is illegal in many countries, so it’s usually moot. Next up, connector type. Broadly speaking, you have transmitters that have pigtails, and those that have the connector directly soldered on. There are two main types of antenna connectors: SMA and RP-SMA. SMA and RP-SMA are essentially the same in terms of range and quality, but SMA can only plug into an SMA pin and the same goes for RP-SMA. You just need to make sure if your transmitter is SMA, your antennas are too. Many newer transmitters use pigtails since it gives some flexibility in where you can mount your transmitter. You can then simply route the pigtail wherever you want and fix it there. Pigtails are usually connector to the transmitter using a U.FL connector or an MMCX connector. You may be familiar with U.FL connectors, those are the ones used in most radio receivers. U.FL is flimsier than MMCX, but can easily be secured with a dab of hot glue. MMCX is gaining popularity as it’s more secure. If you’re using a transmitter that has a U.FL or MMCX connector, you can forgo the RP-SMA and SMA connectors and get an antenna that directly has a U.FL or MMCX connector that plugs straight into your transmitter. This is a great way to save some weight, especially on ultra light racing builds. Finally, the last thing to consider is whether your video transmitter is capable of communicating with your flight controller. This way, you can use your radio telemetry LUA script or OSD to change transmit power or channel. The TBS Unify is an amazing video transmitter. It’s a little expensive but it comes in two versions: Race and HV. The Race version can only do Pit Mode, 25 mw, and 200 mw, and the HV can go up to 800 mw. The Unify outputs a really nice and clean signal that delivers crisp video, and the Unify is the pioneer of SmartAudio technology which lets you change VTx settings from your OSD or transmitter directly. You just need to hook up the audio wire to a free TX UART and your flight controller will be able to talk to the transmitter. The Unify has a U.FL pigtail which you can secure to a mount on your frame, or you can remove the pigtail and directly attach an antenna to the U.FL to save weight. I have started doing this with a Lumenier AXII antenna – they’re so tiny it’s amazing! Pit Mode is where you can change your transmitter settings and be able to power up at a very low output power – so low that you won’t knock other people out of the sky. The ImmersionRC Tramp VTx is also a really neat little transmitter. It’s tiny, has a U.FL connector like the Unify, and supports a variety of frequencies up to 800 mw. The Tramp can be connected to your flight controller in the same way the Unify can, except the protocol is called IRC Tramp, not SmartAudio. The Tramp is much cheaper than the HV Unify, too. If you want, you can also purchase a separate wand that uses RFID to change the settings on your VTx. The basic idea is that you don’t have to open up your quad at all to change any settings. ImmersionRC are the grandfathers of FPV and they were around for long before anyone else, so their transmitters are solid and the video quality is great. Finally, the AKK X2 Ultimate is a super-budget option which boasts similar features to the Unify and Tramp. It supports a multiple range of output power, and uses an MMCX connector instead of U.FL. MMCX is much more secure than U.FL, and easily snaps in and out of the connector. You can use either a pigtail or directly connect a lightweight antenna. Honestly, all three are great – I suppose budget and brand loyalty would be your main factor. If you like to support your favorite brands, then you’d probably pick up a Unify or a Tramp, but if you’re constrained by budget and still want a solid VTx, then go for the AKK X2.